For those of you who are interested in programming your own routines to visualize and process the data, we recommend using the ObSpy Python library. This is a really cool tool for exploring your Shake and doing amazing things with the seismograph and infrasound data. See also: FDSN Web Services. All models of Raspberry Shake, including the RS1D, RS3D, RS4D, RJAM, RBOOM and RS&BOOM use the same software. IDEAS: Why not try your skills at interpreting the data from your shake, to notify you of any peaks, and even identify similar patterns that happen throughout the day, to better understand what you are seeing! Raspberry Shake RS1D can work with several Raspberry Pi models including the Model B, Model B+, 2 Model B, 3 Model B, Zero and Zero W, but we recommend using the Raspberry Pi 3 Model B. The RS3D, RS4D, RJAM, RBOOM and RS&BOOM will work with Model B+, 2 Model B, 3 Model B. For the RS1D, RS4D, RS&BOOM models, we recommend using a RGI-20DX 4.5 Hz, 395 Ohm, Vertical Racotech Geophysical Instruments geophone. Here are the specs: Racotech Geophone Technical Specifications. For the RS3D model, we recommend using Sunfull PS-4.5B vertical and horizontal geophones. Here are the specs: SunFull Geophone Technical Specificatons. Please note that in order to forward data to the Raspberry Shake Community in real-time, these specific geophones are currently the only model accepted for use with the automated earthquake detection process. This is because we have spent thousands of hours testing and know the instrument response of the Raspberry Shake board with these geophones. The Raspberry Shake Community server will treat other geophones as unknowns with unknown instrument responses. (The instrument response is used server-side to determine the magnitude of earthquakes. It allows us to correct the signals to true Earth motion and compare seismograms recorded by different makes and models). 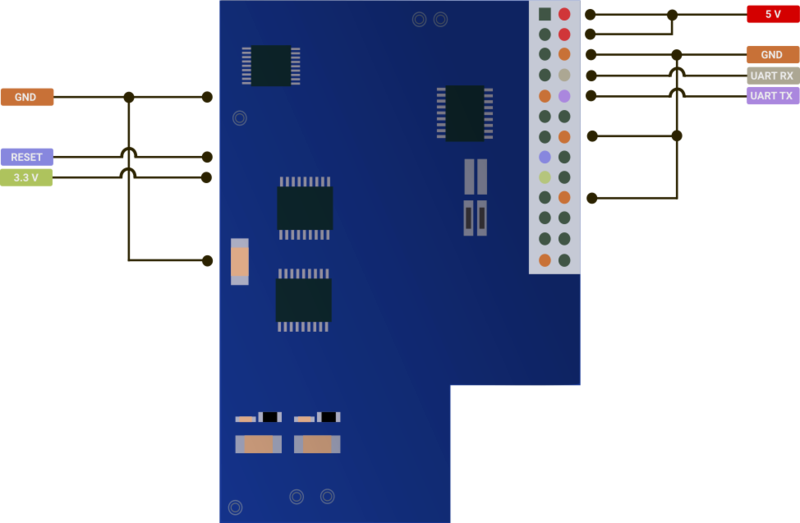 Geophone Polarity for all models: If you are using one of our RACOTECH geophones and you connect the grey cable from the “+” on the geophone to the “+” on the Raspberry Shake board, the output signal will have the correct polarity. If you wish to use geophones from other manufacturers, the geophone should be a 4.5 Hz geophone in the range of 380 to 400 Ohms. 1 Hz and non 380-400 Ohm geophones will not work with Raspberry Shake’s analog front end. Caution! : The geophone input is ESD sensitive, and ESD precautions must be taken when hooking up the geophone. We strongly recommend against using consumer-grade TLC microSD cards with Raspberry Shake. Use commercial-grade (MLC) or industrial-grade (SLC) microSD cards instead. See here for more details. IDEAS: Why not customize the design of your enclosure, or personalize it with your name?